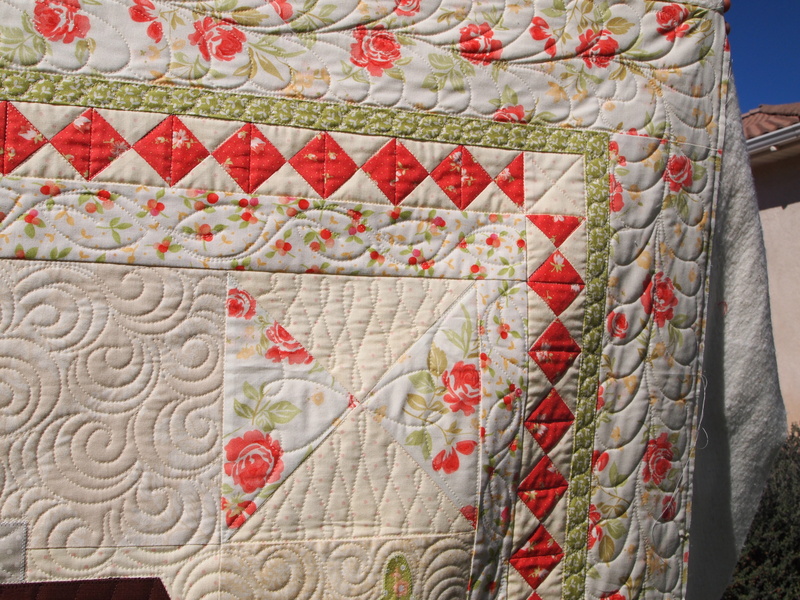 I did this little quilt (by sweet Margo) a couple of months ago and realized I hadn’t blogged about it! It’s adorable and was so much fun to work on. 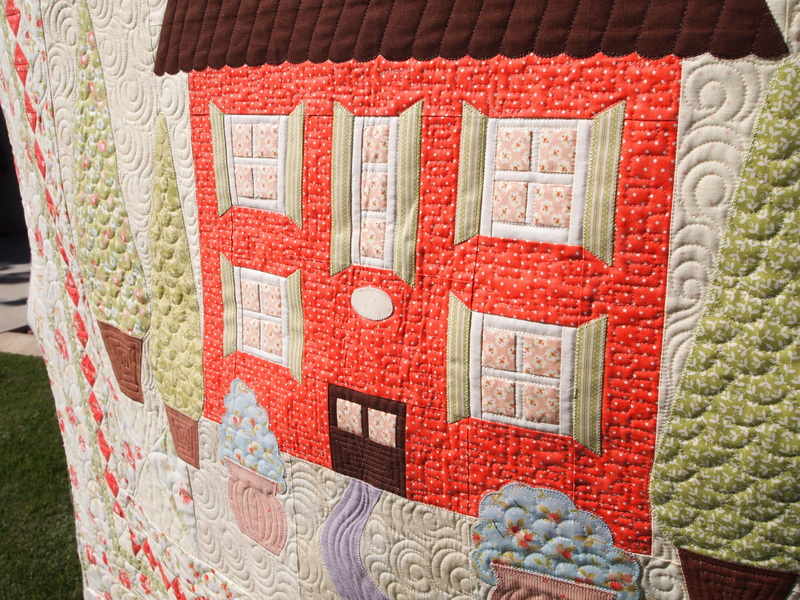 Applique always is! 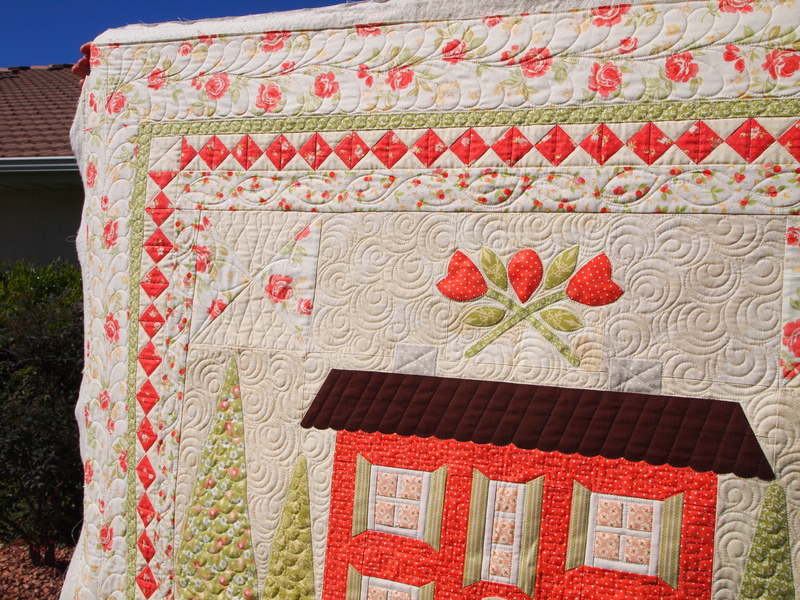 ← New Year, new quilt, and some new prices! Thanks, Margo!! 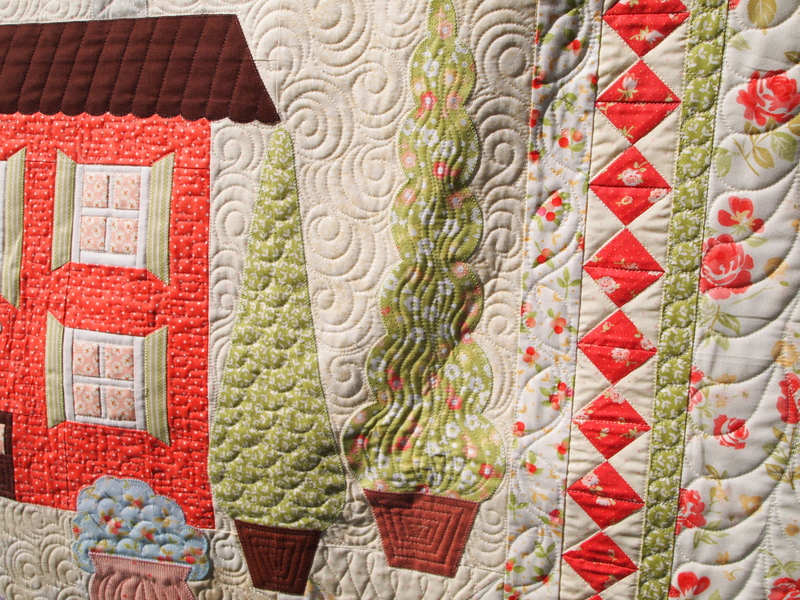 Can’t wait to get started on your next quilts! 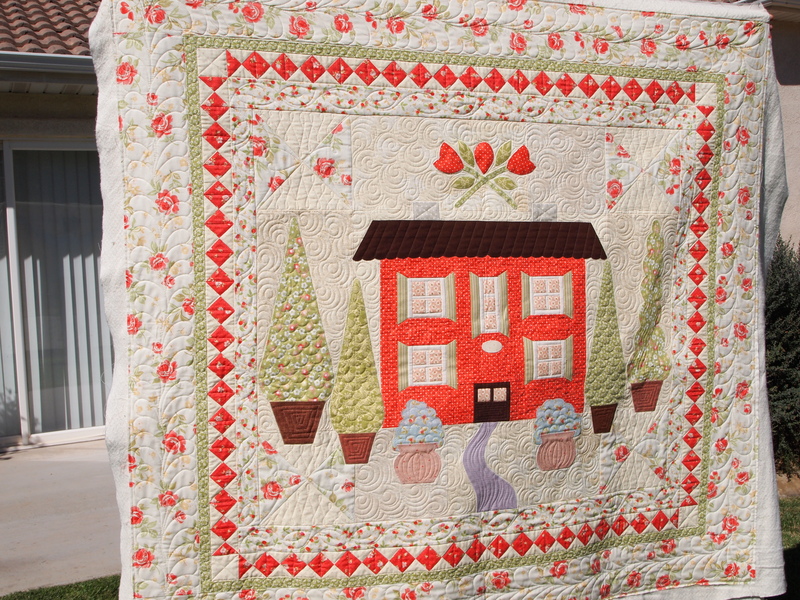 What a sweet and cozy quilt! 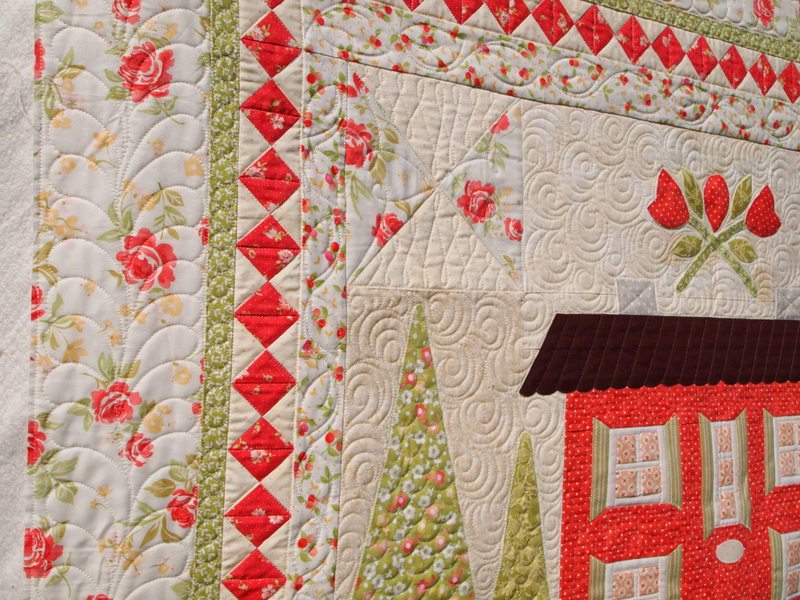 I love the bright coral house! 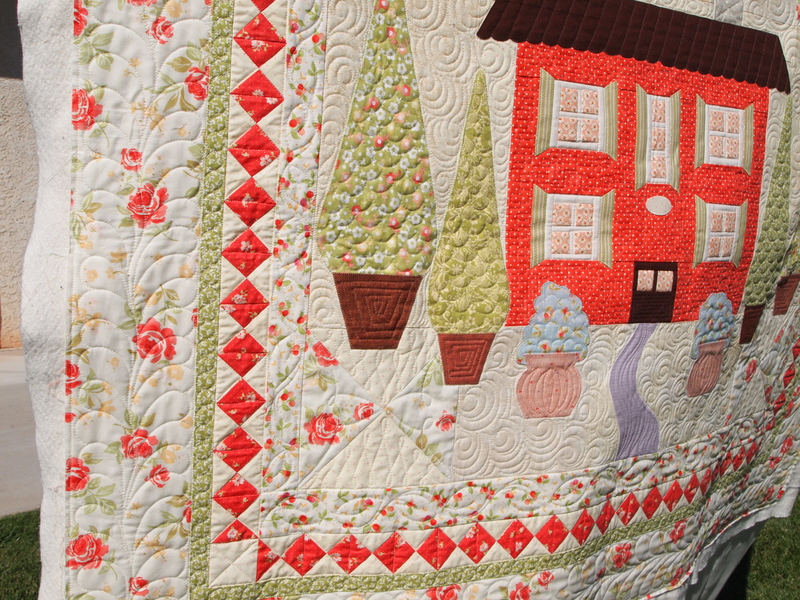 I love your quilting and this quilt! 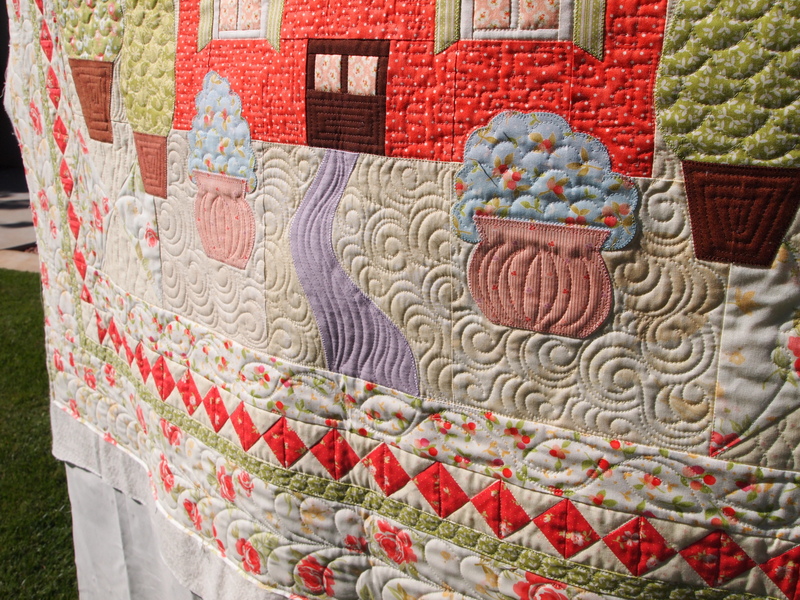 Your quilting is breathtakingly beautiful! 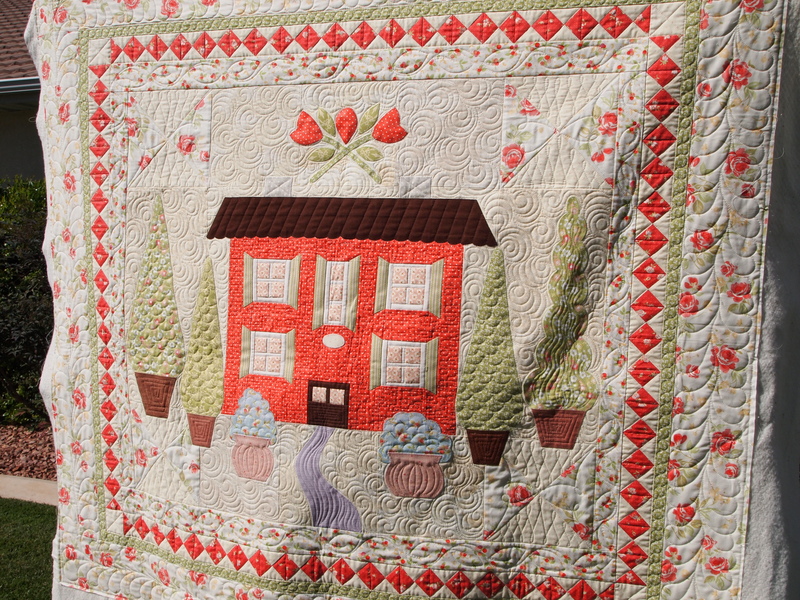 The different motifs in each section are a sweet touch! Gorgeous!! Just adorable!! Margo from Bakersfield?? More of the Bakersfield connection?! !